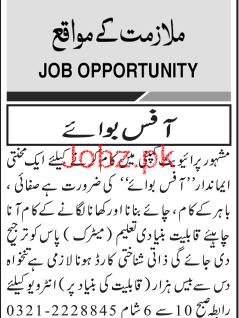 A Private Company require the service of Office Boys in Islamabad. Candidate must have matric from recognized board must have experience, experience in cooking. You can apply online at vacancy after registering at http://www.jobz.pk site.